There is a real concerted effort by many trade unions and do gooders to set the minimum wage to $15/hr. 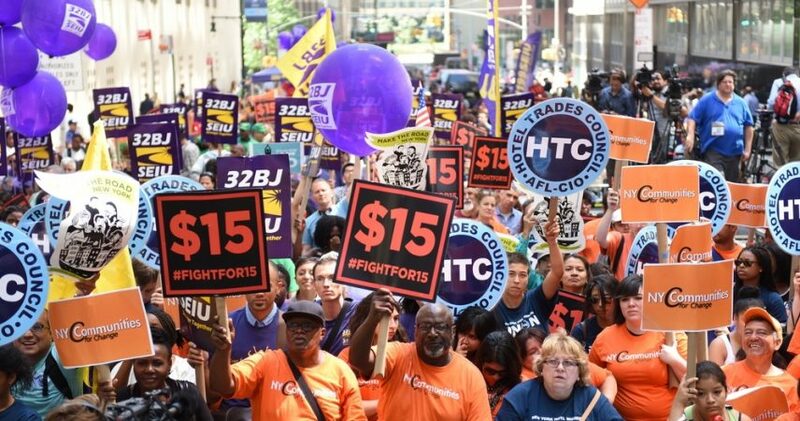 19 US states, dozens of cities and counties are raising their minimum wage in 2017. Many Canadian provinces and European countries are doing the same. The problem is a $15 minimum wage law does not force employers to pay every worker at least $15/hr. It only forces them to pay $15/hr to every worker they choose to keep. The ones they decide not to keep will soon be earning $0/hr. Thanks government. In this modern political era we find many well intentioned but economically ignorant politicians pushing the ideas of raising the minimum wage. Many of them simply want to attract voters from the increasing number of poor people we have among us. Others really do believe doing so will help more people out in the long run. This ideology could not be further from the truth. The well known Nobel Prize winning economist Milton Friedman taught extensively about the issues surrounding the minimum wage. He emphasized how its the unholy alliance of the trade unions and the do gooders that are always wanting to increase the minimum wage and how the minimum wage increase "is ensuring that people who cannot justify that kind of a wage will be unemployed". The teenage unemployment rate only increased to the levels we see today when the minimum wage rates were drastically increased by government mandates. One quarter of workers between ages 18 and 24 are unemployed and not getting valuable on the job training as a result. A lot of the blame for that should be directed toward government mandated minimum wages. With any political view, the simplest way to find out the cause and effect of such policy is to push the policy to the extreme. Currently the push is to have minimum wage be at 15/hr. Well, what would happen if they changed it to $50/hr? Businesses would have to raise prices on almost everything they produce, increasing the cost of living for all of their customers. They would have to let many of their workers go as it will now cost them a lot more money to operate their businesses. Small business owners would have less employees and would have to put more time in themselves, which generally small business owners do not have that luxury. Another side effect is jurisdictions with high minimum wages will become less competitive with those areas that have lower minimum wages. If California's minimum wage was $50/hr and Oregon's was $10/hr. The cost of living in Oregon would be a lot more desirable, opening a business in Oregon would be more desirable and as a result their would be plenty more jobs to be had there. If an employer only has $100 to offer for salaries and the minimum wage increases from $10/hr to $15/hr. He used to be able to hire 10 workers. He now can only hire 6.5 workers. At least 3 workers will now be out of a job. Not to mention the loss of experience and job training they will loose. 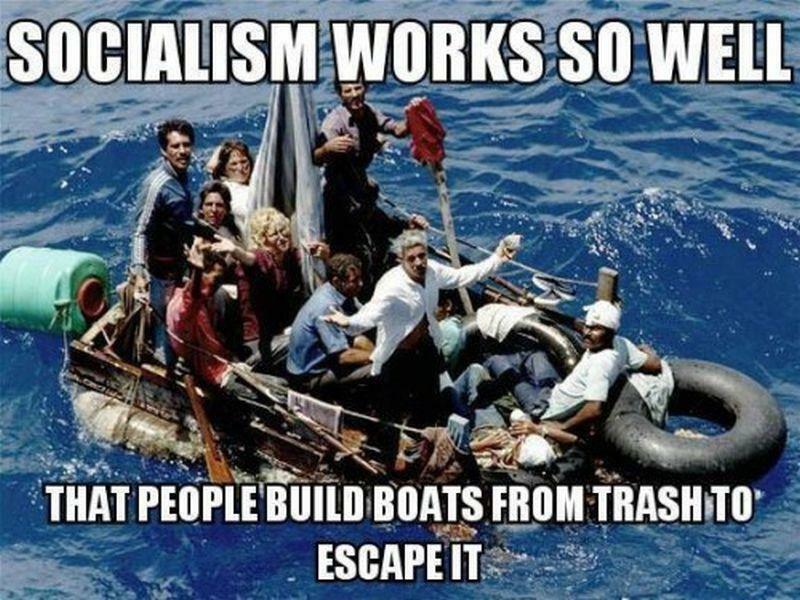 If you want extreme socialism, why not move to the socialist utopia of Venezuela. I would advise against it though. It does show you what is happening to the rest of the western world, only at a slower pace. In Switzerland, wage laws do not dictate a mandatory minimum wage like it does in the rest of Europe and North America. They believe the free market is the solution allowing wage rates to be determined between employee and employer. A minimum wage of $0 and yet they still have one of the best places to live. In 2011 Switzerland boasted one of the highest median household incomes in the world at $33,669, according to OECD statistics, second only to Luxembourg and Norway. But wouldn't they have slavery or close to slavery if the minimum wage is set at $0? Not in a voluntary society where two parties agree on the acceptable rate determined based on the skill and experience of the laborer and the income they will generate the business. All this without the coercive hand of the government. Something we keep harping on at Free Market Capital is that governments do not fix problems, they create them and this is no exception. Is it time we scrapped the minimum wage in favor of letting the free market setting it for us? We at Free Market Capital believe it's time.